Your contribution will go a long way to establish democracy and freedom in Iran and the greater Middle East. It will save the lives and brighten the futures of millions of people who have long been oppressed by the tyrannical regime. It will also help echo the voice of Camp Liberty and the people’s cry for liberty in Iran whose voice cannot be heard due to the regime’s censorship and widespread clampdown. Your valuable contribution will shatter the walls of suppression and help the calls for liberty in Iran resonate around the world. 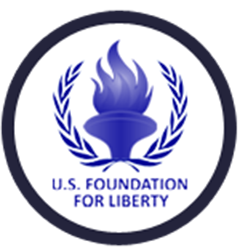 TheU.S Foundation for Liberty is a 501(c)(4) organization, so donations are not tax deductible.